Pots and pans are the lifelines for every cook. 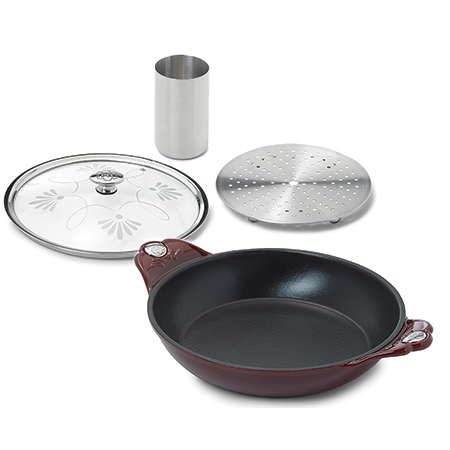 We depend on quality cookware to make our favorite dishes for family and friends. When we got to work with Princess House’s Mi Cocina Casserole + More, we instantly fell in love like we have with other cookware products from Princess House, a company that makes quality gourmet kitchen products and cookware for people who love to cook! Recently, Stephen took his place in front of the camera to demonstrate how to make a rotisserie-style chicken with the Mi Cocina by Princess House® Casserole + More. 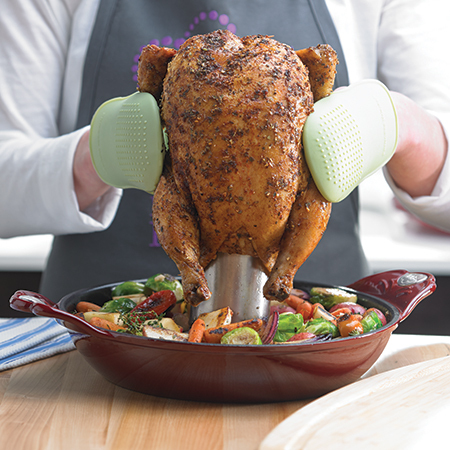 The Casserole + More is perfect for stove top cooking, roasting meats and vegetables in the oven, and for cooking and roasting on your grill. You can use the cast iron casserole alone or with the included roasting rack and infusion tube for a variety of cooking options. We filled the infusion tube with citrus juices, garlic and spices for a one of the juiciest chickens we’ve ever had. Watch the video, get the recipe and then let us know how you would flavor your chicken. How to Make Rotisserie Chicken at Home from Princess House on Vimeo.